We follow Indian Vedic astrology principles for preparing astrological reading. 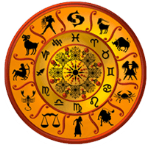 The Indian Vedic Astrology system is the most accurate. This section comprehensively covers the significance of the 12 house of birth chart. The enclosure of Lord Brahma begins with 6:40 degrees and ends at 10:53 degrees in Makra or Capricorn Zodiac besides being known as Abhijit Nakshatra. The Abhijit Nakshatra moves over the Uttarashada and Shravana Nakshatra as it begins from the last quarter of Uttarashada and ends at first 1/15th segment of Shravana. The natives of Abhijit Nakshatra are believed to be learned personalities and respected individuals besides which they are the people of etiquettes and manners who would develop courteous bonds around. They are endowed with fame and higher place upon land due to being positive at attitude and ambitious at the core. The natives of Abhijit Nakshatra are perceived to be bestowed with well formed stature of body in a medium heighten personality along with enough strength and potency in the appearance. These people carry a graceful and brilliant persona with much dominance and appealing looks. The people of Abhijit Nakshatra are perceived to be affectionate souls who would be kind at heart and will carry softness in their words as they are truly polite and humanitarian beings. These natives would develop true relations around and so on they would be liked by many people for the way they are. The Natives of Abhijit Nakshatra are the people of positive attitude as they will carry immense optimism throughout their walk and won't let the hurdles affect their vision. They are ambitious souls who would keep walking with their hard work and determination and so on will keep growing towards high mounts of respect and affluence. They are learned and intellectual who could be seen being involved in many studies in lurk. In the end, they are true spiritual beings. The people of Abhijit Nakshatra are perceived to be bestowed with higher place upon land as they would carry much fame along with respect besides which they receive good wealth and altogether they could be said to rule over the masses upon land. These individuals would work at higher profiles of authority and dominance. The natives of Abhijit Nakshatra are endowed with good intellect and strength of mind besides which their strong optimism further develops their path towards acknowledgment and recognition. They could also be involved in some deep studies. The people of Abhijit arena are perceived to get married around at 23yrs of age while it also has been predicted that these natives might have more than one wife and would have many children but the predicament is that they might loose one or two children at the their twenties. These natives would confront some severe financial problems till his of 27yrs of age but there won't be any in a very serious appearance. The children of Abhijit natives are perceived to attain good place upon land. These individuals would prefer to live with their eldest son. Those begotten from Abhijit Nakshatra are born with many health hurdles which could emerge as really harsh at times as in further articulation, they would face a very bad phase of health during their childhood and have the risk of life at the ages of 19yrs and 20yrs while if they would cover it safely then their lives would improve and health problems will also reduce afterwards. The major health problems would include jaundice and pile. No computer generated reports are provided. Only Manual reports prepared after analysis of your chart are provided.